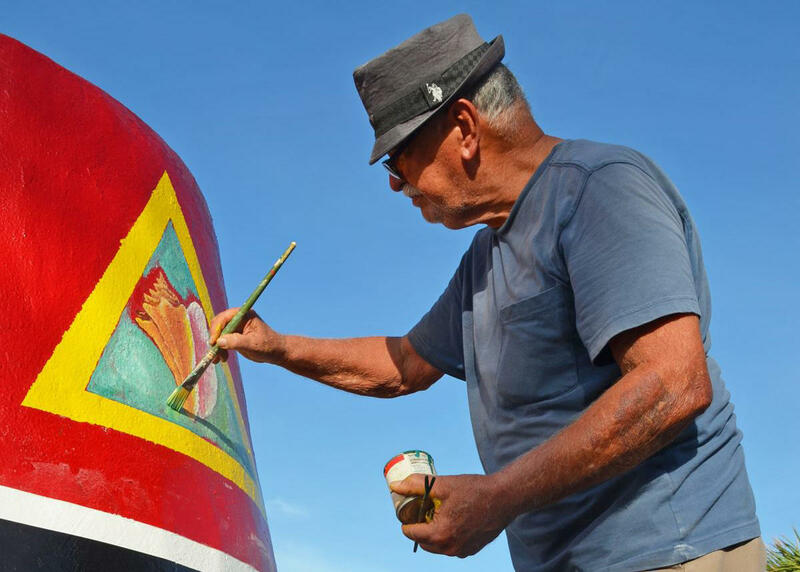 The original artists restored the paintings at the Southernmost Point Buoy in Key West. 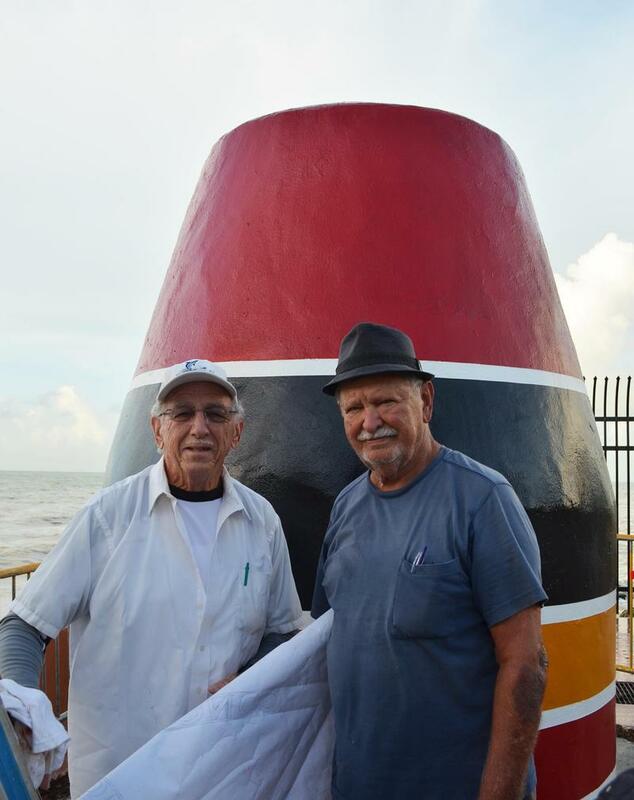 Danny Acosta (left), the artist who first painted the iconic buoy, teamed up with Henry DelValle to restore the Southernmost Point marker. 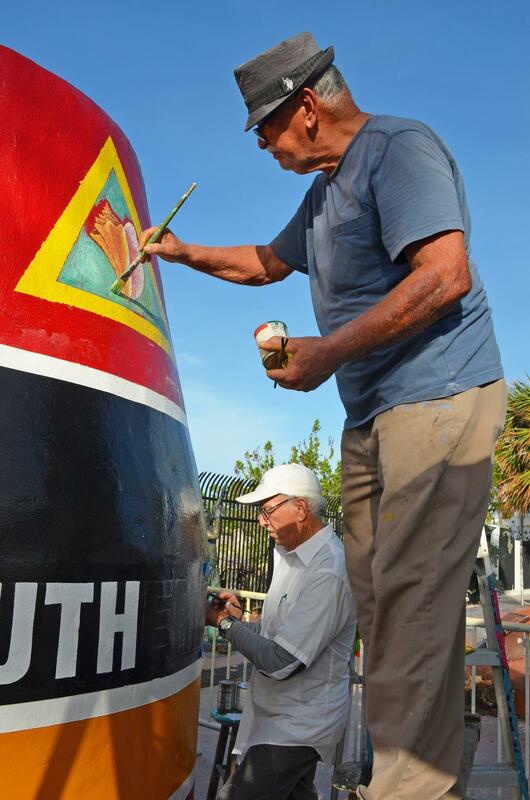 Artists Henry DelValle and Danny Acosta putting the finishing touches on the refurbished Southernmost Point Buoy. 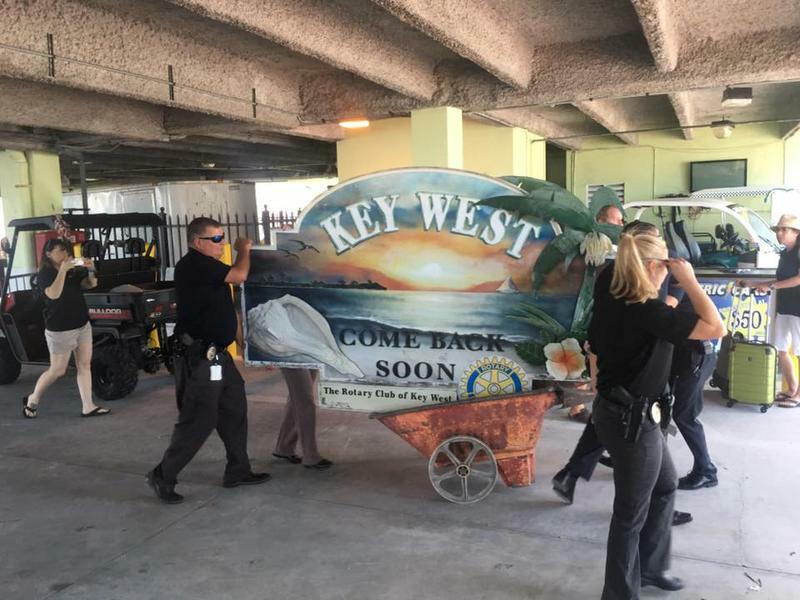 Mr. Acosta is the original artist to paint the iconic landmark.